A former home secretary has called upon social media firms such as Facebook, Twitter and WhatsApp to internally monitor the use of suspicious words on their platforms. Speaking to theBureau of Investigative Journalism, David Blunkett said companies “need to take some responsibility internally for watching what’s going on,” adding they should alert authorities if suspicious words are used repeatedly. The former home secretary said companies should not be expected to simply hand over information, saying that would be “completely improper,” but said there should be a protocol for them to alert authorities of potentially suspicious behavior. “Where we [the company] identify a prima facie worry that someone is using terminology or indicating a particular pattern, we will let you know that this communication is taking place. It is now up to you to get a warrant if you want to access content. “This would not happen where somebody mentions a word once,” he added. The US social media firms currently maintain they meet overseas legal requirements in emergency situations, but say in other cases they reject requests if they are too vague. Prime Minister David Cameron has expressed an interest in banning social media networks, which provide an encrypted messaging service, for fears they might be used by terror organizations to plan attacks. 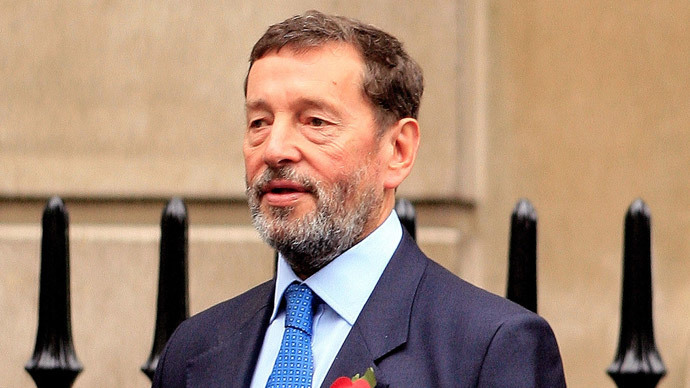 Blunkett has previously written in the Telegraph that encrypted communications “unwittingly” aid extremist groups. “Tech companies who provide encrypted – and therefore secret – communications online are, albeit unwittingly, helping terrorists to co-ordinate genocide and foster fear and instability around the world,” he wrote. The former home secretary told the bureau, however, it was “meaningless” to try to ban encryption. “Governments want encryption, companies want encryption in relation to espionage, terrorists want encryption, pedophiles want encryption and the services want to break encryption,” he said. He addressed the criticism of Cameron’s plans to ban encryption, saying there was no contradiction between agencies wishing to access communications and the government protecting their own correspondence via encryption. “If you use neither confirm nor deny as a mantra you make people more suspicious,” he said.